The lookout notice issued by the Government of India Greenpeace activist Priya Pillai has been quashed by the Delhi High Court. Ms. Pialli was detained at the Delhi airport while she was all set to board the flight to UK, where she was to have a talk with the British Parliamentarians. Ms. Pillai was then separated from the group of passengers and was taken into another building, where the authorities told her that she could not travel out of India and her baggage was brought back from the aircraft and “Off loaded” was stamped on her passport. Before the High Court, Ms. Pillai claimed she was told that she was “detained since her name stood included in the “data base” of individuals, who are not allowed to leave the country” and that no other information was given to her. She also questioned the validity of look our circular and claimed that the same was illegal. She highlighted how the Government had not cared to reply to Ms. Pillai, despite her repeated letters. He highlighted how the funding of Greenpeace was curtailed by the Ministry of Home Affairs in 2014. He also submitted that the talk which Ms. Pillai could have had with the British MPs would have had an impact on India’s interests and affect its reputation internationally. 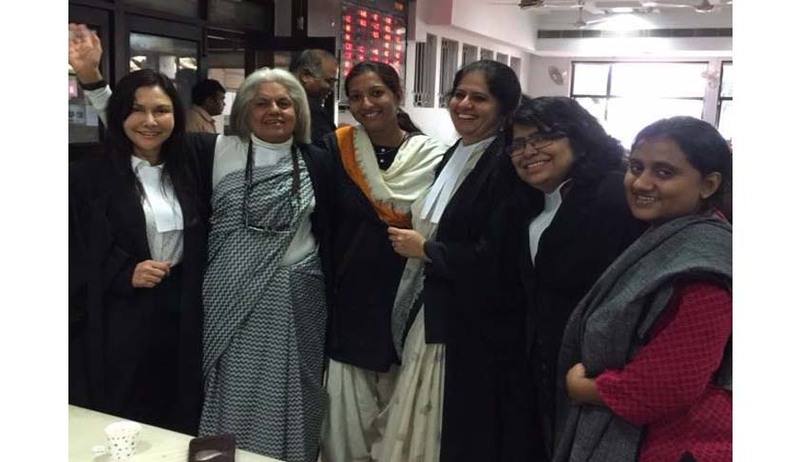 The Court eventually then quashed the lookout notice issued, regarding the aspect of damages for defamation; the High Court said that Ms. Pillai was free to go for a civil remedy for the same. You may read more of our coverage of the issue here.